H.E. Mr. Joop Atsma, the State Secretary of Infrastructure and the Environment of the Kingdom of the Netherlands visits China on November 14th, 2011. In the honor of Mr. Atsma, Netherlands Consulate in Shanghai gave banquet dinner. Mr. Peter Potman, the Consulate General hosted the event. 200 guests from the Netherlands and China companies attended the event. Mr. Dai Jun, CEO of NITA Design Group was invited at the banquet. Mr. Atsma is leading the Dutch delegation to inaugurate seminar and round table meeting with Chinese partners. The delegation is composed of representatives from top Dutch offices on intelligent transportation systems, environmental technologies, sustainable energy and biomass, airport development and aviation and water technology. 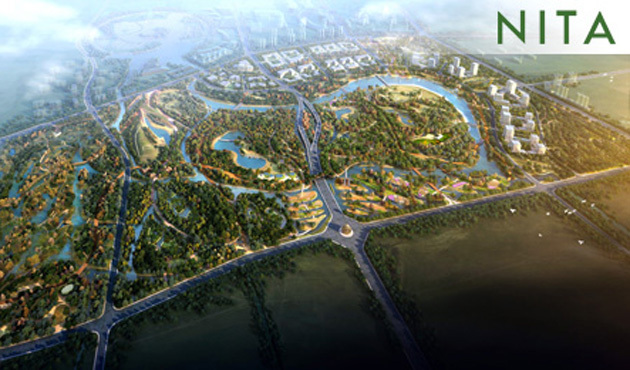 The delegation will visit big cities in Zhejiang and Anhui. Mr. Atsma introduced the current status of infrastructure and economic in the Netherlands and expressed his strong faith in the future at the dinner. He highly complimented the great achievement China has archived recently and regarded China as a formidable force in the world. Mr. Atsma met Dai Jun at the dinner and praised NITA’s project in the Shanghai Exposition and NITA’s contribution of importing Dutch environmental technology into China. He will continue supporting NITA to bring the latest technology to China.